It looks like both the hatchback and sedan are going to be in Los Angeles. After a cryptic 15-second-long teaser video published last month, the Zoom-Zoom company has now released a new image confirming the all-new Mazda3 is right around the corner. By that we mean the world premiere is scheduled to take place at the end of this month during the Los Angeles Auto Show. The event will open its doors to the media on November 28 with the first press day, but don’t be too surprised if the car will be revealed on the Internet a few days before. There’s more good news to share as not only will it introduce the five-door hatchback, but Mazda is also going to unveil the four-door sedan. Obviously, details are scarce at the moment, but we do know straight from the horse’s mouth that the new 3 will adopt a more mature interpretation of the excellent Kodo design language. It’s safe to say the promising Kai concept (pictured below) is an accurate blueprint of what to expect from the road-going car. One of the most important assets of the next-gen 3 will be under the hood where we’ll find a SkyActiv-X (pronounced “ex” not “ten”) engine. We drove a Mazda3-bodied prototype at the beginning of the year with the new mill, which took the shape of a supercharged inline-four featuring cooled exhaust-gas recirculation and an electrically controlled variable valve timing. Mazda is being coy on details, but promises the new gasoline engine will cut fuel consumption by 20-30 percent while boosting torque by as much as 20 percent to deliver diesel-like levels. The prototype’s engine has been engineered to work with a six-speed manual gearbox as well as an automatic with the same number of gears. 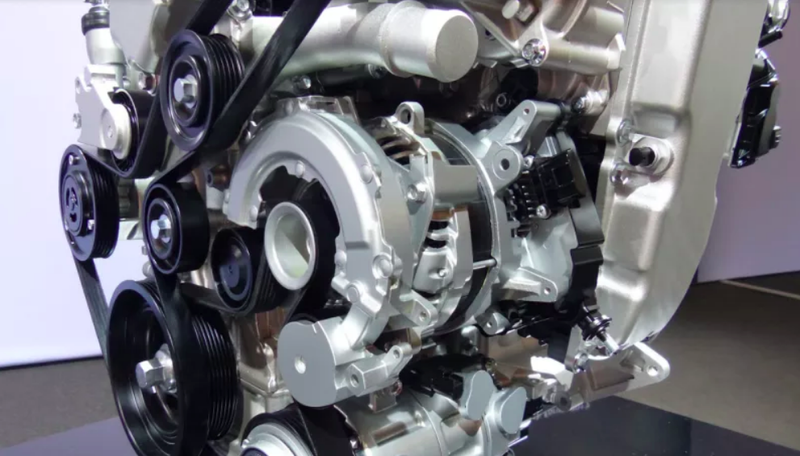 In the prototypes, Mazda’s engineers had to add special foam in the engine bay to silence the four-cylinder mill in the same vein as premium European automakers strive to make their diesel engines quiet. Dave Coleman, Mazda’s manager of vehicle dynamics engineering, admitted noise, vibration, and harshness (NVH) are “very challenging” due to the new engine’s explosive nature of compression ignition and the higher-pressure fuel system. He went on to mention the SkyActiv-X engine does not have anything in common with today’s 2.0-liter SkyActiv-G, adding the engineers had to reinforce the new unit since the explosions are putting more strain on the internal components. We’re eager to learn more about the next-generation Mazda3, so it’s a good thing the wait is almost over. I heard a rumor it will offer AWD. Been hearing that rumor for about 10 years. Not sure what platform it is on now, but when it was on the global Focus/C30/Mz3 platform, it wasn't going to happen. Maybe we'll be luckier this time around? I'd still pick up an MS6 if the right opportunity presented itself. But the big difference is the engine, which will be the first mass-produced production gasoline compression engine on the market. I had a chance to drive a prototype Mazda 3 with this Skyactiv-X engine and found it to feel fairly normal in most conditions, though I did notice some knocking under some conditions. Mazda CEO Akira Marumoto, talking about the car here ahead of its unveiling, said the strategy is to mate the Skyactiv-X engine to a mild-hybrid system. Marshaling the electric motor’s power-assist ability will ensure linear acceleration and spirited driving, Marumoto said. The news source cites Marumoto as stating that the new Mazda 3 will get the 2.5-liter Skyactiv-G found in the current lineup, as well as the Skyactiv-X engine, which will be a 2.0-liter mild hybrid, and will “be positioned as the higher grade.” Marumoto also allegedly told the site that the Skyactiv-X-equipped car will have the same driving dynamics of the 2.5-liter, but it will offer the fuel economy of a 1.5-liter diesel. “The arrival of all-new Mazda 3 marks the beginning of a whole new generation of Mazda cars,” Mazda says in its press release. I’m excited to see how this thing turned out, and how the company improved the prototype I drove in August of last year. More importantly, I’m interested in seeing the official EPA fuel economy figures, which I assume won’t be out until well after the car’s debut. They offer AWD in Japan, I never took the time to figure out what was different / why they never sold it elsewhere, but it's definitely an offering. I just thought I would jump in and say one thing. I always love Dave Coleman's expertise in regards to technobabble. He was the one saving grace when Sport Compact Car was still the thing to read. I was secretly hoping for this, but even if they put the turbo in, I doubt they'd put the AWD in. No AWD in the Mazda6 afterall. After going upmarket with the newly-turbocharged 2018 Mazda6, the Japanese automaker seemingly doesn't plan to stop climbing the industry ladder just yet. Speaking to Australia's CarAdvice at the Los Angeles Auto Show, the brand's North American CEO, Masahiro Moro expressed interest in offering all-wheel drive in future Mazda3 and Mazda6 models in order to cater to the traction-obsessed, U.S. consumer. Moro also says that the only reason all-wheel drive isn't already offered is because of an incompatibility issue with the current layouts. "I think we are not able to combine four-wheel drive and the 2.5-litre turbo. We have a layout issue with the sedans, that’s why a four-wheel drive isn’t deployed on the Mazda3 and 6 so far," said Moro. "But there is a huge demand, at least what I know is that in the east coast of the USA, 80 or 90 percent of premium sedans are sold with all-wheel drive." Moro adds, "Four-wheel drive becomes a premium queue for U.S. consumers and obviously I have asked our R&D department to think about how we can accommodate four-wheel drive capability in the future." We did reach out to Mazda and a spokesperson told The Drive that while it will "continue to investigate how best to bring its vehicles to the U.S. market," there is nothing further to "share about the potential for future Mazda3 and Mazda6 vehicles to include an all-wheel-drive option" at this time. If Moro's plans for Mazda's compact and midsize sedan come to fruition, Mazda would join Subaru in being the only automakers in the segment to send power to all four wheels. The next Mazda3 (and the next Mazda6, we'd wager) will be powered by the company's revolutionary, compression ignition SkyActiv-X engine that promises diesel-like torque and fuel efficiency. It'll be interesting to see how those efficiency gains pan out when or if all-wheel drive is thrown into the mix. At this year's Los Angeles Auto Show, Mazda showed off its refreshed Mazda6. The midsize family sedan gets a few exterior tweaks, a new premium trim level, and an optional turbocharged engine. It's a welcome update to what was already an excellent car, but with the new engine making 310 lb-ft of torque, we had to wonder if all-wheel drive would have been a better choice than the Mazda6's current front-wheel-drive setup. Turns out, that's not an option with the current car, but it may be with the next generation. Speaking to Australia's CarAdvice, Masahiro Moro, Mazda's North American president and CEO, said all-wheel drive won't fit in the current Mazda6. "I think we are not able to combine four-wheel drive and the 2.5-liter turbo. We have a layout issue with the sedans. That's why a four-wheel drive isn't deployed on the Mazda 3 and 6 so far," he said. Still, Mazda recognizes that if it wants to move upmarket and become a viable alternative other entry-level luxury cars, it needs to offer all-wheel drive in its sedans. "But there is a huge demand, at least what I know is that in the east coast of the USA, 80 or 90 percent of premium sedans are sold with all-wheel drive," he continued. "Four-wheel drive becomes a premium cue for U.S. consumers, and obviously, I have asked our R&D department to think about how we can accommodate four-wheel drive capability in the future." That's not exactly confirmation that the next-generation Mazda6 and Mazda3 will get all-wheel drive, but it's pretty darn close to that. Plus, with AWD on the table, it opens up the possibility of higher-performance models returning to the Mazda lineup. Mazdaspeed3, anyone? As expected, but not complaining at all, mini CX-5. Ahh, hope is still alive then. I probably would not be able to resist a turbo awd mazda3 hatch. Looks like AWD will be an option. No engine specs yet though. I've read a couple reviews that said Mazda changed the 3's rear suspension from multi-link to torsion beam. This seems like a step backwards for a company that is known for its handling. OMG I'd jump ship from Subaru SO quickly. I'm just waiting for an excuse. Agree the hatchback looks horrible. Sedan looks good but I don't like sedans. I hope there is a Mazdaspeed version on the horizon. I kinda like the 3 hatch. For some reason it reminds me of the hatches from the 80's and 90's. Still waiting for them to re-release the Mazdaspeed 3 and 6. Keep or improve current handling, MT RWD or AWD with a powerplant putting out 220bhp with curb weight around 3000 lbs would be perfect for a sedan or hatchback. Not any of this anemic (for the curb weight) 158bhp stuff that is better suited for grocery-getter-only duty. Their only truly fun car right now is the MX-5. 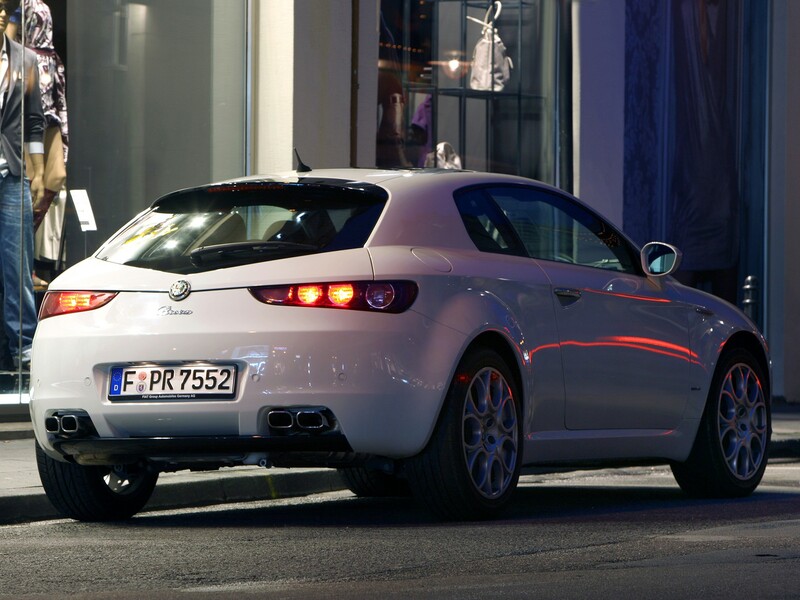 I see a lot of Brera in the back end.